It annoys me that nothing actually fits babies when they’re born unless they’re 9 or 10 pounds. 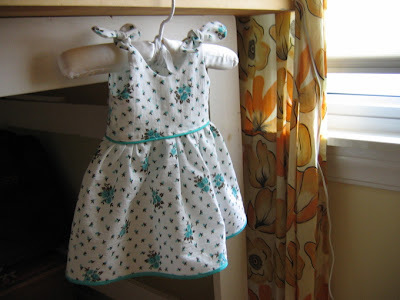 So this dress was actually designed to fit a newborn (7-8 pounds) right at birth. I will post a pattern and how-to soon! It would great if you could post tutorial. You are so right about nothing fitting babies until they are bigger. My baby girl is 8lbs and 6 weeks old right now, but all the clothes that are sized 0-3 months are too big for her. I feel like she has nothing to wear. 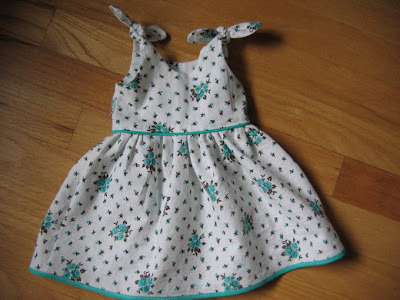 Thanks for the tutorial, I made this dress today and it will look adorable on my new niece. 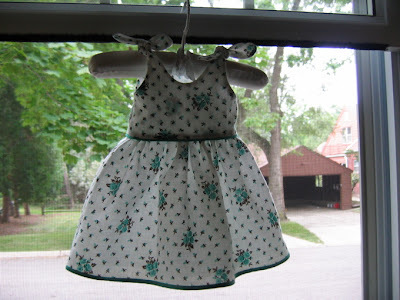 Great Baby dress! I wish can my baby the same like you did!